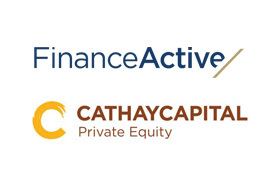 Cathay Capital announced today it has signed an agreement to acquire a significant minority stake in Finance Active, a digital finance solutions provider, to fast-forward its international growth. As part of the transaction, Capzanine will be selling its minority stake in the Company. The transaction involves a major investment of Jacques Descourtieux and Patrice Chatard, the Founders, as well as the entry into the capital of Finance Active of new key managers. Founded in 2000 in Paris, Finance Active and its 150 employees provide SaaS based digital solutions to improve debt management and financial risks performances. The Company paves the way for greater digital transformation in finance through cutting-edge technologies and a strong emphasis on user-friendly processes. Its more than 10,000 users on 5 continents include businesses ranging from private SMEs to global multinationals and from local authorities to financial institutions in France and around the world. Its activities are particularly focused on debt management with 750 billion euros under supervision, though the Company also provides guarantee, leasing and forex digital management tools. Its innovative software solutions enable a centralized and accurate view of outstanding financing instruments permanently connected to the financial markets, simulations, regulatory reports, key indicators and personalized support. While Finance Active has been continuously developing (double digit growth) in the last years thanks to solid market trends and a diversified loyal customer base, it has also established solid expertise and innovative R&D to polish its services over many years. It now stands competitively positioned to increase its share of the global digital debt, guarantee and FX management market. Cathay Capital will leverage its know-how and ecosystem to accelerate Finance Active’s international development, grow its client portfolio and help the Company become a global leader. Cathay’s extensive experience in M&A and build-ups will also be an important strategic asset. Cathay Capital Private Equity is a leading international private equity firm focused on cross-border investment and committed to supporting the international expansion of middle-market companies in North America, China and Europe. The firm’s team of over 90 professionals is based in New York, Shanghai, Beijing, Paris, Munich, San Francisco and Tel Aviv and leverages its unique business model and platform to create value for companies across three continents. With $2.5 billion in assets under management, Cathay Capital Private Equity has completed over 90 buyouts and growth capital investments across three continents since its inception in 2007. Cathay Capital Private Equity invests in and assists middle-market companies in the consumer goods and services, healthcare, business services and technology industries.